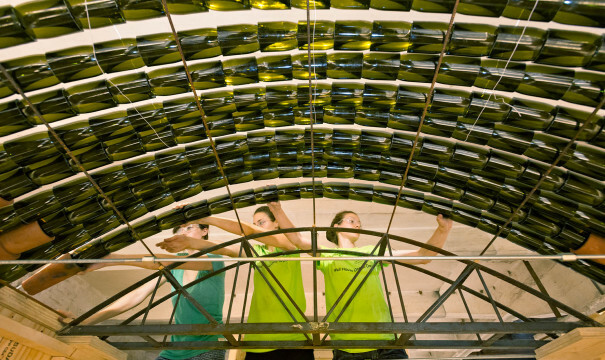 How can we create a common standard for ‘sustainable’ architecture that works for both rich and poor? 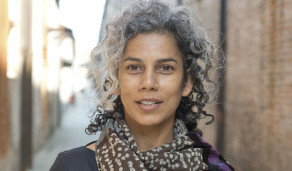 Anupama Kundoo is a global architect, advocating a ‘whole world’ approach to housing practices. 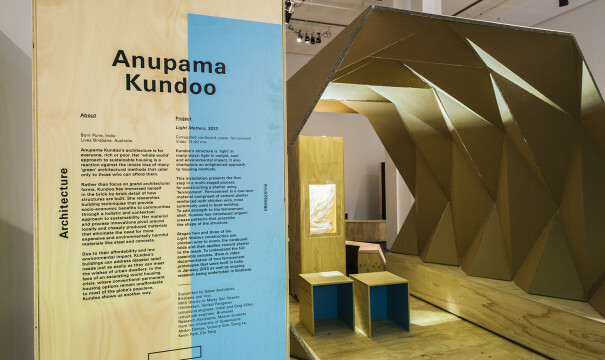 Born in Pune, India, and currently based in Brisbane, Kundoo began work as an architect in 1990 with a strong focus on reducing the environmental impact of building technologies. 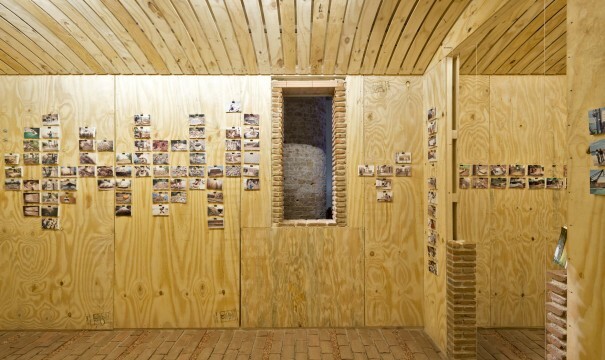 Rather than focus on grand architectural forms, Kundoo has immersed herself in the brick-by-brick detail of how structures are built, proposing architectural solutions that provide socio-economic benefits to the local area through a holistic and contextual approach to sustainability. 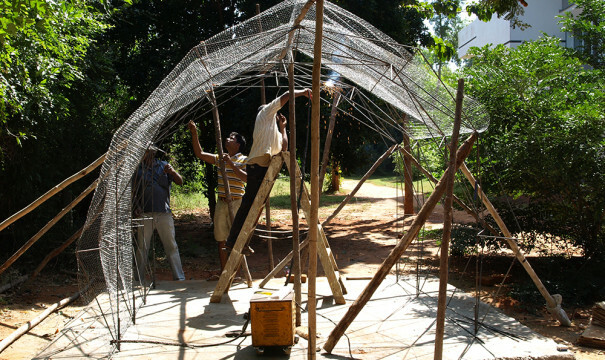 This can be seen in her ‘Volontariat Homes for Homeless Children’ in Pondicherry, India, built using ‘fired-mud house’ approach. 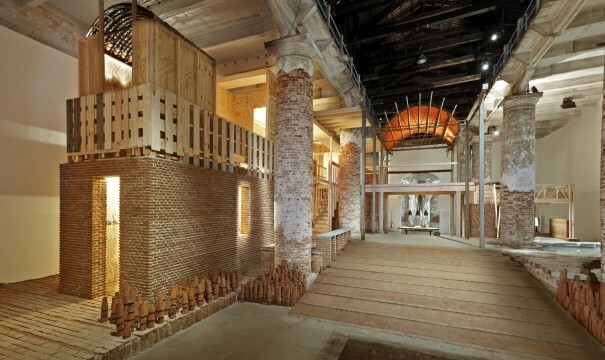 A highly peculiar building technique, pioneered by ceramicist Ray Meeker, the idea is to build brick houses, not by sourcing brick from factories, but by building large mud structures and firing them on site. 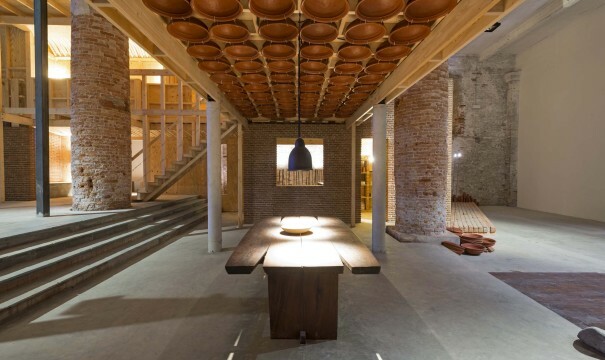 The void of the house is treated as a kiln, stuffed with tiles, pipes, washbasins and toilet fittings, that are then fired and used to complete the house. 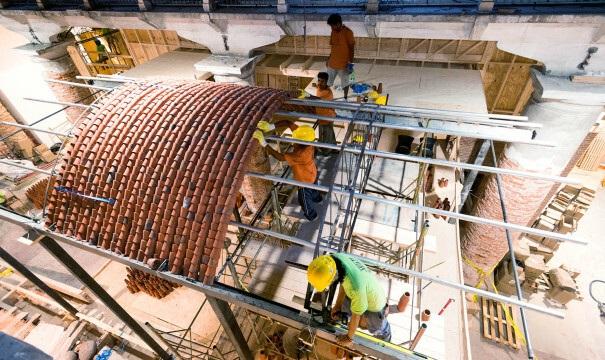 The peculiar advantage of this technology is that it eliminates the need for cement in brick masonry and achieves a permanent house using local skills and materials. 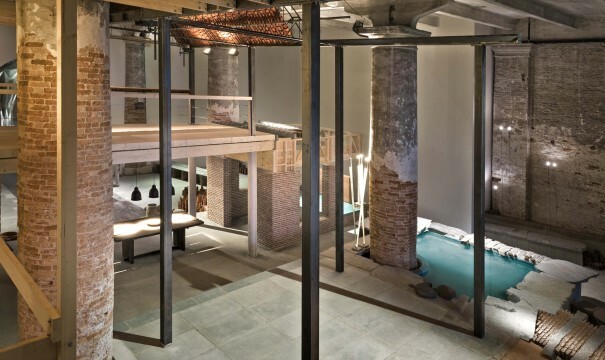 Kundoo’s work for CUSP follows on from the international acclaim for her Wall House installation at the 2012 Venice Architecture Biennale. 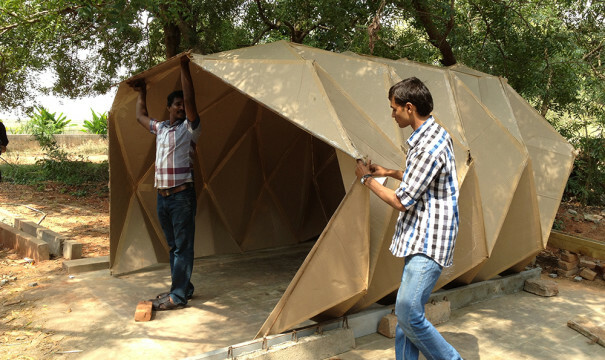 Combining knowledge of geometry, engineering and construction, Kundoo proposes an alternative building approach that is significantly lighter in weight, cost, and environmental impact. 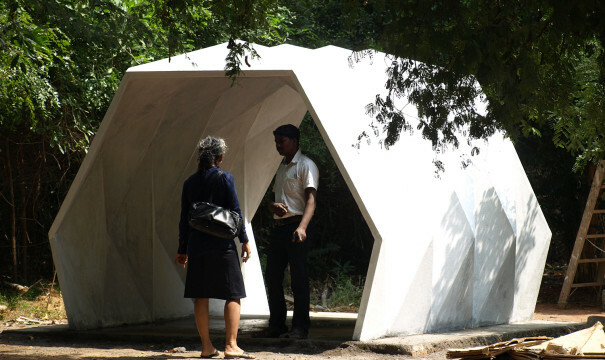 Light Matters is a dwelling made using ferrocement, a very thin material consisting of chicken wire encased in cement plaster that is mostly used in boat building. 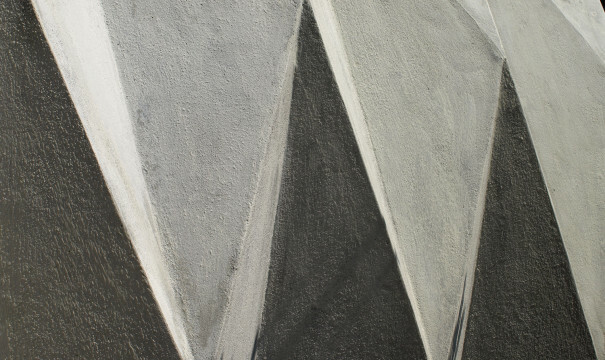 Being significantly thinner than reinforced concrete, ferrocement requires bending and folding of its form in order to achieve strength. To do this, Kundoo draws on the rigid forms of origami crease patterns and explores their potential to add both strength and aesthetic appeal to her built structure. 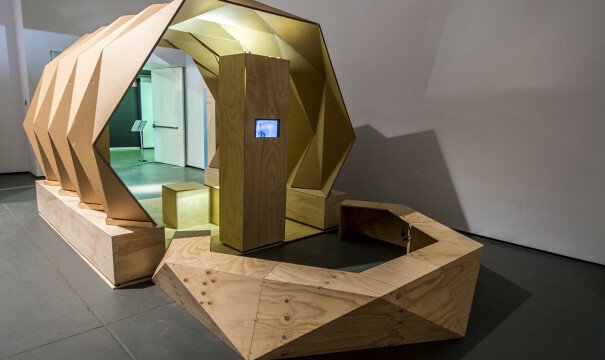 A ‘full size’ cardboard prototype of the Light Matters home is displayed in the exhibition, along with video documentation of testing carried out in India in early 2013. 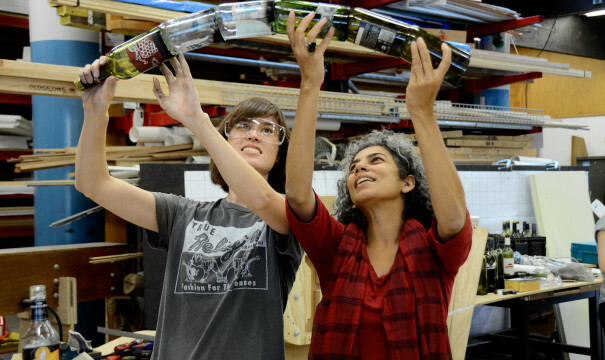 In the first video talking to Anupama Kundoo, watch her discuss her unique vision for sustainable architecture, and hear about her project for CUSP.